Baroness Brown is an engineer. An academic career at Cambridge University, including 7 years as the first Fellowship of Engineering Senior Research Fellow, led to senior business and engineering roles at Rolls-Royce plc. Returning to academia as Principal of Engineering at Imperial College, she served as Vice-Chancellor of Aston University from 2006 - 2016. Her current interests include climate change adaptation and mitigation and the low carbon economy. She serves as: Vice Chair of the Committee on Climate Change (CCC), where she leads on transport issues, and Chair of the Adaptation Sub-Committee of the CCC; Chair of the Carbon Trust; non-executive director of the Offshore Renewable Energy Catapult; Council member of Innovate UK. She led the King Review for the Treasury on decarbonising transport (2008), is the Prime Minister’s Business Ambassador for Energy and the Sector Champion for the Offshore Wind Sector Deal as part of the Government’s Industrial Strategy. She is passionate about education and engineering: she was a member of the Browne Review on university funding and Lord Stern’s review of the Research Excellence Framework. 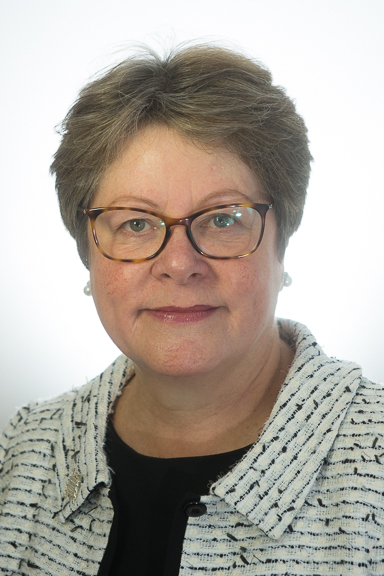 She chairs STEM Learning Ltd., the leading provider of science teacher continuing professional development, and the Henry Royce Institute for Advanced Materials. She is a Fellow of the Royal Academy of Engineering and of the Royal Society, and was awarded DBE for services to higher education and technology. In 2015 she was elevated to the Peerage as The Baroness Brown of Cambridge. She sits as a crossbench Peer, and is a member of the House of Lords European Union Select Committee.